It is every bit as important for children to understand their rights as it is for adults to understand them. 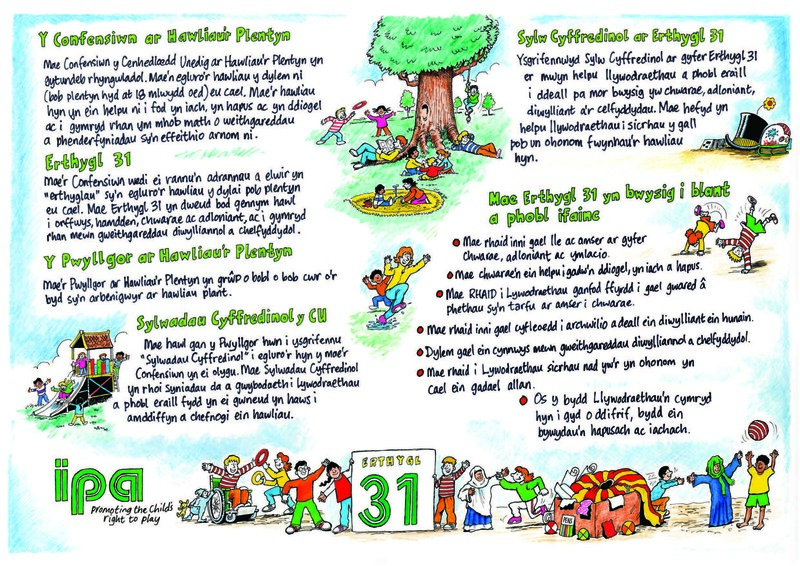 During the process of preparing the General Comment groups of children developed posters (with art by Welsh artist Les Evans). 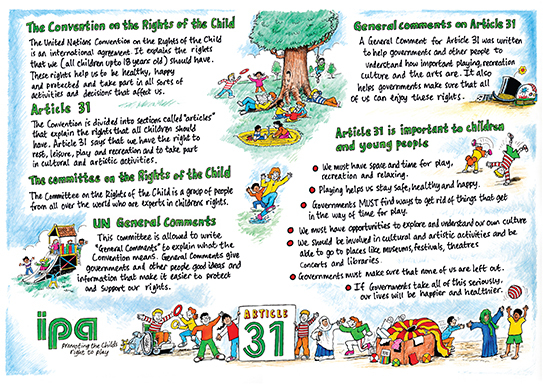 These posters talk about article 31 in terms that children can understand, because they were written by children! 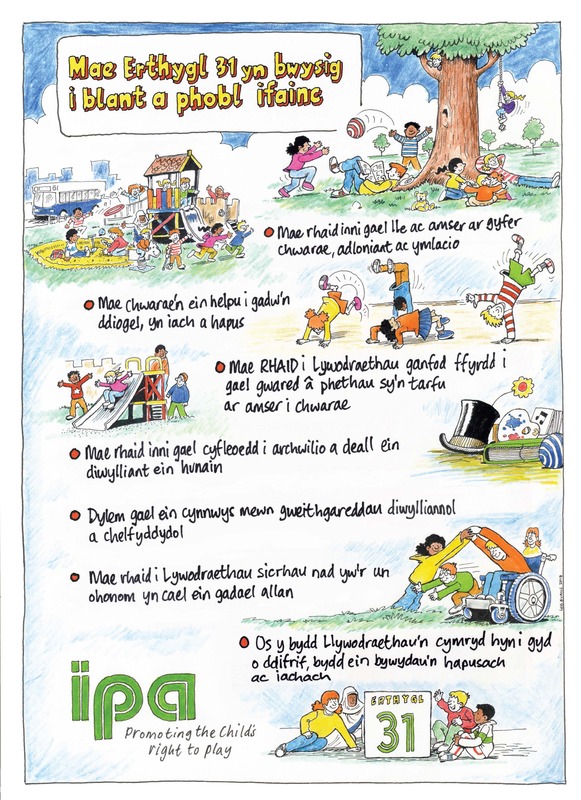 The posters are currently available to download here in English and Welsh. If you would like us to prepare a version for the children in your life, please help us by translating the poster script into your language. We will make the changes for you and send you a high quality translated version for your use (printing, whatever). All we ask is that you make no changes to the posters before distributing them. 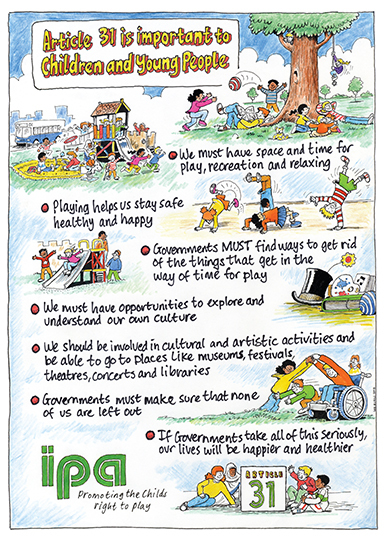 We would love to have these posters available for children in as many languages as possible. TO TRANSLATE these posters into your own language, please complete the translations on the scripts below and send to Communications@IPAworld.org.